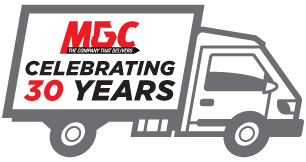 Welcome to MGC – The Company That Delivers! This is a service MGC offers to its regular customers who utilize any of our other services on a daily basis. We will p/up from your specified location and deliver ASAP to your destination. Cost is $40.00 per hour from portal to portal with a minimum charge of 2 hours.